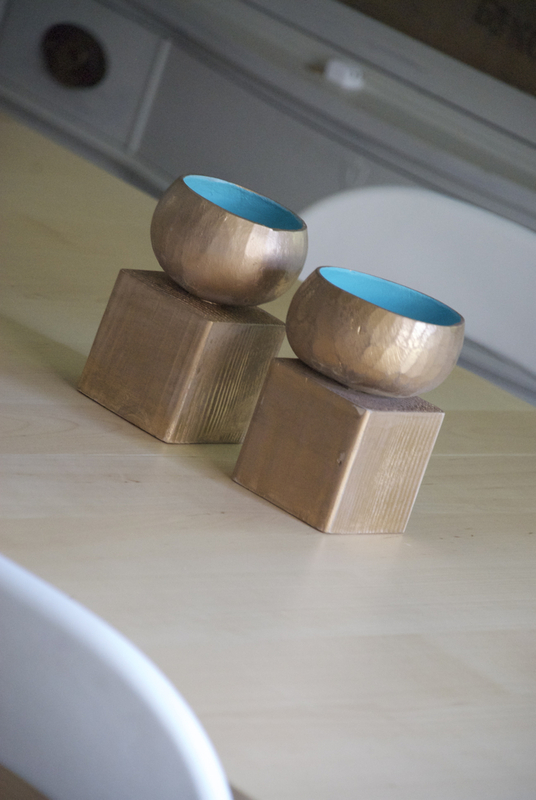 These footed bowls, with their gold exteriors and turquoise centers look modern and rustic at the same time. 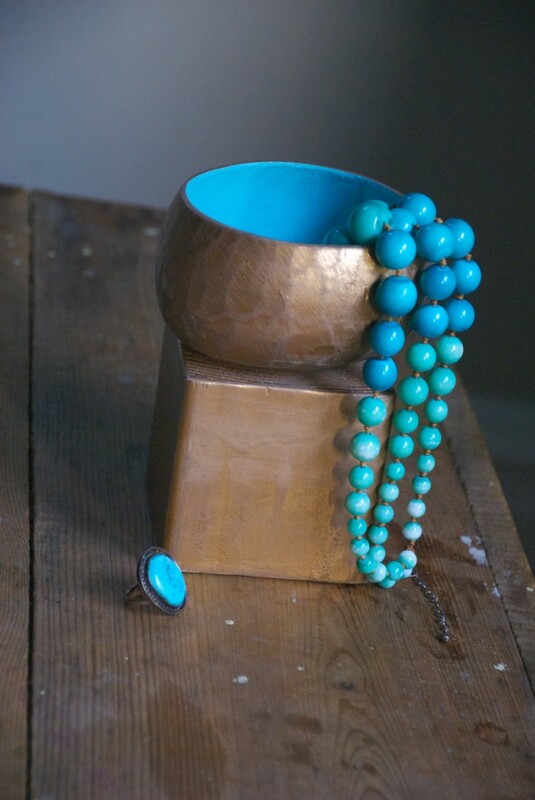 I love the contrasting gold and turquoise tones. 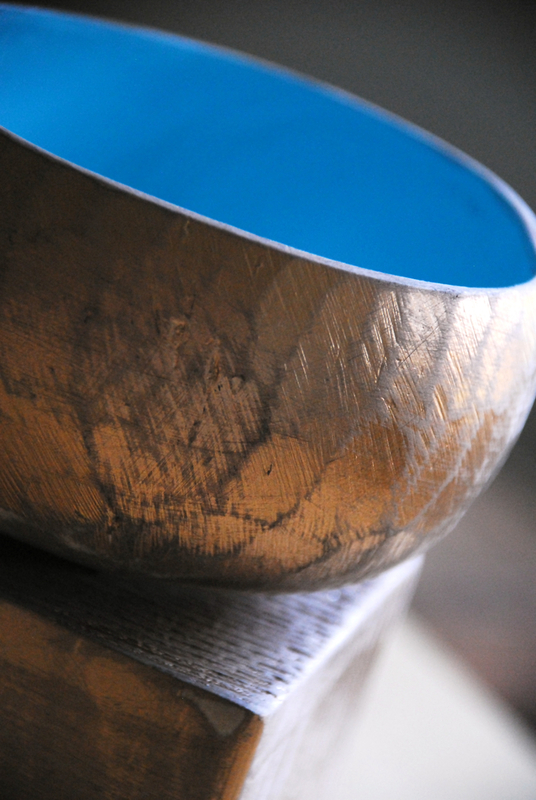 After the final coat, a quick sanding helped to reveal a texture that resembles hammered metal. 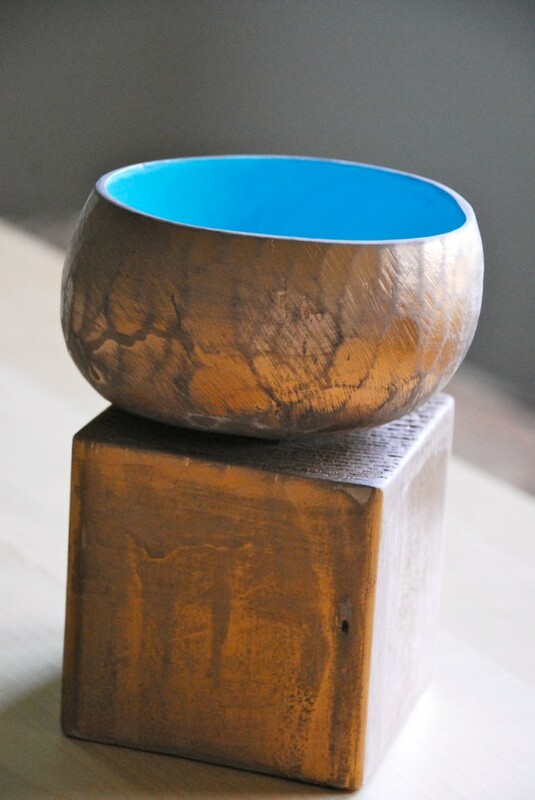 For this project I used: a coconut cup (from Party City about $3.00), a 4-inch block of wood (a leftover section from a fence post), a glue gun, sandpaper, craft paint and spray paint. 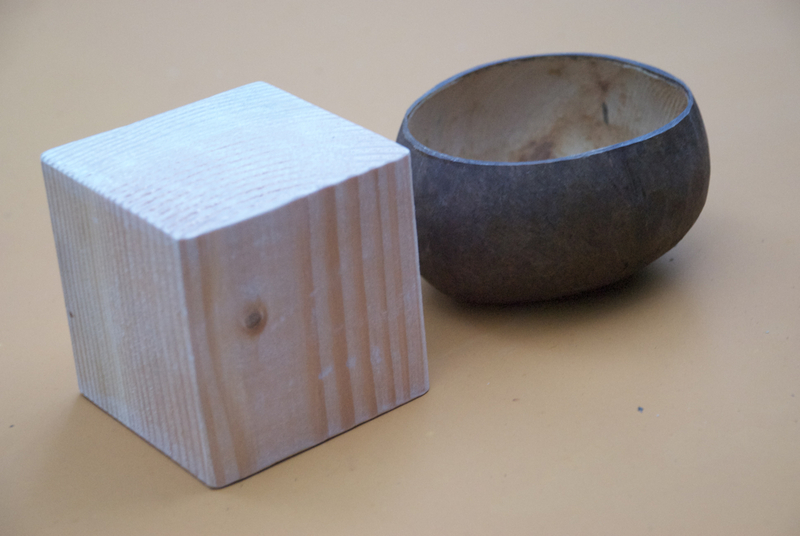 Give the coconut cup and the wood block a quick sanding. 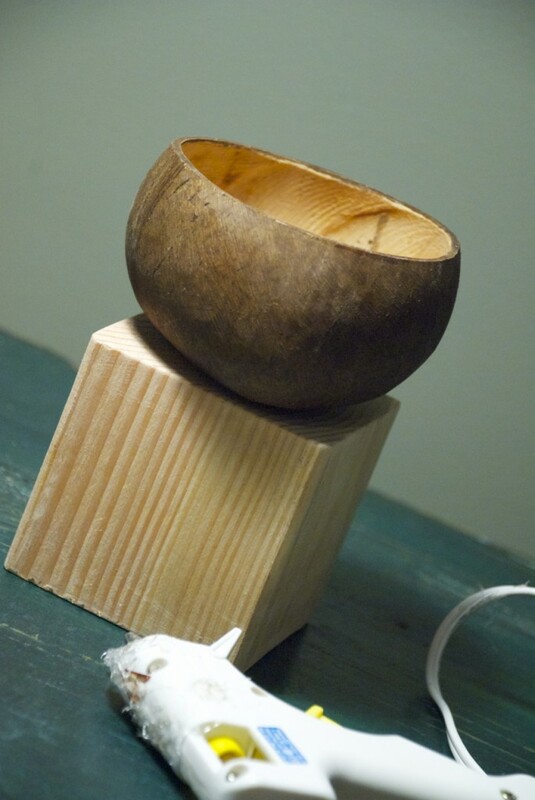 Hot glue the coconut cup to the wood block. Spray paint the exterior first. I applied 3 coats of gold spray paint and gave a rough sanding to the entire piece once it was dry. 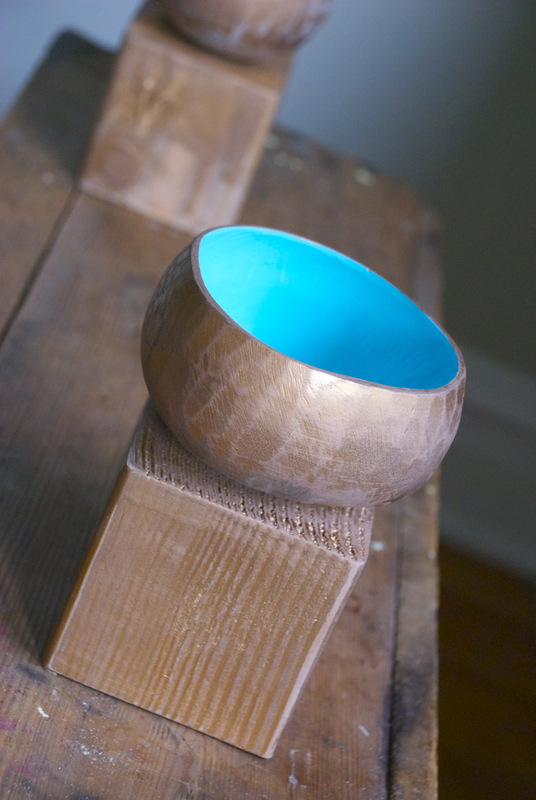 Paint the interior of the coconut cup with craft paint. These aren't food safe, but you can use them as interesting bowls to catch jewelry or supplies on your desk. I love the way they look on our dining room table. they have an almost “trophy” feel to them ~ very special. Gorgeous! 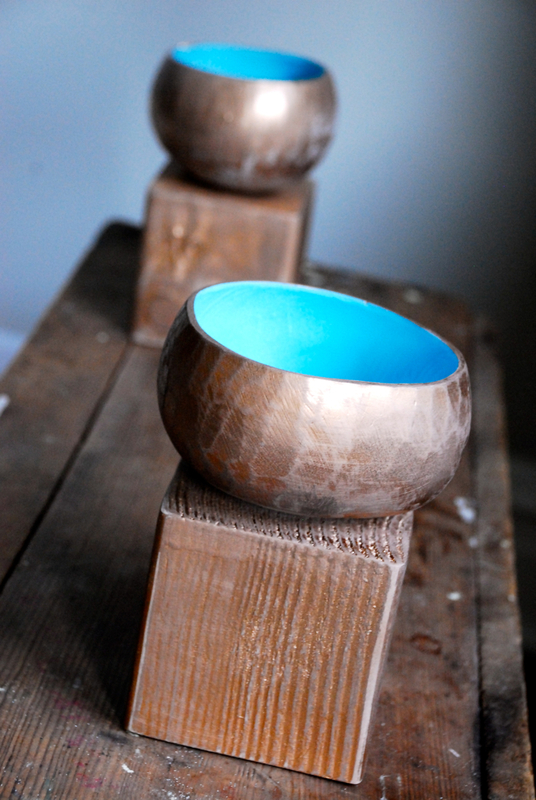 Love the color inside too……Now where can I get some of those coconut bowls?